Listen to your favourite songs in music player. It supports MP3, AAC+, eAAC+, OGG, MIDI etc. file types. Slightly larger but still tiny, is 2011's Android update a big winner? We're pleasantly surprised at how usable and responsive the Xperia Mini is. The 1GHz processor means web pages are drawn and scrolled pretty quickly, while gaming and app performance is also good. The small size may seem difficult for a while and lateron, u wont like large screen phones.been using it for the past 2 years.very smooth interface and supports almost every game on playstore.problem is just the low memory.camera quality is excellent but misses a least front camera. 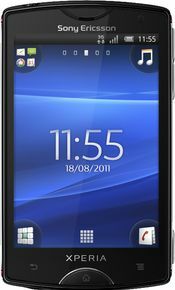 I Used more than 1 year above, very nice functional features, me and my wife loved with xperia co and this smartphone are realy cool.....................But i Suggest that Screen too Small. This smartphone is more than my expectations as it performs everything with ease I just love this.